Sign up for Sbarro's Rewards eClub and receive a printable coupon instantly for a free slice of New York cheese and pepperoni pizza. "Like" Sbarro on Facebook, click "skip" and download coupon for two free breadsticks. 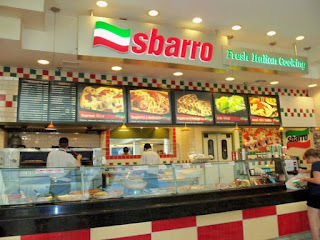 Sbarro is the place to go for fresh, delicious pizza and authentic new york style Italian food. As the world's #1 quick service Italian restaurant, Sbarro has close to 1,000 restaurants nationwide.